By Michael Poh in Internet. Updated on November 18, 2017 . Google formerly known only for its search engine service decades ago, has turned into a flourishing multi-faceted Internet organization that provides services and products like video-sharing (YouTube), social networking (Google+), navigation (Maps) emailing (Gmail), web browser (Chrome), mobile OS (Android), etc. Of course, all these would not have been possible without the more than a hundred acquisitions Google have been making for years, many of which have either been developed further independently, or integrated into their range of new products or services. Although some acquisitions have resulted in discontinuation, Google had much to gain by absorbing the talents into their team, and as it turns out, a premium amount doesn’t necessarily equate to good turnouts. Motorola Mobility, was acquired with a whopping $12.5 billion, but does not seem to be leading nowhere. In this post however we look at 8 pivotal acquisitions that made Google the powerhouse it is today and probably for years to come. Formerly Oingo, Applied Semantics is the company with the semantic text processing technology that eventually facilitated the development of AdSense. Basically, Google AdSense is a unique program that allows publishers registered with the Google Network of content sites to place automatic text, image, video, or interactive media ads that are targeted to site content and audience. During the days before the acquisition, Applied Semantics established itself with its very own patented CIRCA technology (Conceptual Information Retrieval and Communication Architecture) which understands, organizes and extracts information from websites by providing more effective information retrieval. Their AdSense product employs comprehensive search algorithms to understand the context and key themes of webpages by relating to the keywords. After getting their hands on Applied Semantics’ CIRCA technology, not only was Google able to deliver highly relevant and targeted advertisements, its search engine has also been strengthened by their new-found ability to search for meanings and concepts instead of keywords. As a result of this acquisition, Google was able to rise above Yahoo!, its direct competitor at that time and eventually became known not only for its superior search engine, but also for being one of the most important advertising company in the world. As of the last fiscal quarter of 2012, Google announced that they have generated $3.44 billion in revenue from AdSense, accounting for a little more than a quarter of the company’s total revenue. Another early acquisition by Google, Picasa was bought over for an undisclosed amount in what appears to be a plan to beef up the photo publishing feature on Google’s Blogger (acquired just a year earlier via Pyra Labs, creator of Blogger. 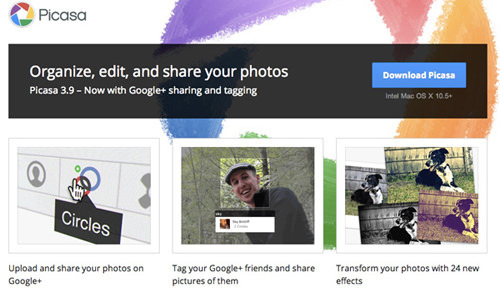 Shortly after the acquisition, the online photo manager was made available as a free download, then retired in 2011 to be integrated into Google+. Today, not only does Picasa exists as a standalone photo management tool with basic photo-editing features, it also has its own Picasa Web Albums hosted on Google+. It has also become one of several favourite tools online for web-based photobugs, competing with the likes of Yahoo-owned Flickr (acquired by Yahoo! In 2005) as well as Photobucket. It also serves as a powerful backup tools for photos taken on your smartphone. Linking Picasa with Google+ was yet another smart move to sufficiently pit themselves against the strong culture of photo-sharing over at Flickr. By leveraging on their growing social network, Google is probably hoping that the ease of sharing photos offered by Picasa and the strong integration with Google+ would boost the membership on both sides. Acquiring Android Inc. was such a blessing for Google that David Lawee (head of Corporate Development department) called it the “best deal ever’ÃÂ in 2010. We probably feel the same today based on how well the open source software is doing in today’s smartphone market. Android OS has become the top-selling smartphone platform today, totalling up to more than half (52.5%) of the smartphone market in 2011 and an overwhelming 75% by the first quarter of 2013. Check out our Evolution of Android OS for a brief look at its path of development. Tapping into the surging popularity and influence of the Android OS in the mobile market, Google was able to provide unparalleled exposure for its wide range of products and services. Coupled that with its acquisition of the mobile-advertising startup AdMob (more on that later), the company ventured into the mobile ads business through the Android OS by profiteering from ads which appear on Android phones and tablets. Revenues generated from those mobile ads alone make up a significant portion of the $1 billion Google makes from their entire mobile ads business per year. With Android seemingly winning the mobile OS race against Apple and the growing Windows Phone, the future looks promising. 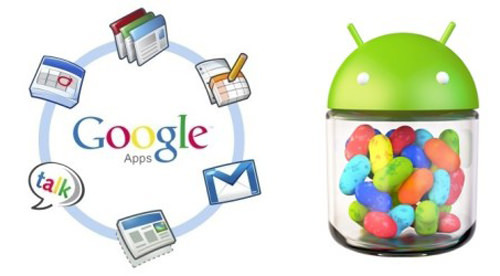 Android is also moving beyond phones and tablets to become pioneers in uncharted territories. The OS is said to be integrated with their Google Glass. Contrary to what many had expected, it was never integrated into the now-defunct Google Videos and only remained operating as a subsidiary of Google. YouTube at the time was merely a hosting site for user-generated videos and had no profits to speak of. The maintenance of over a billion clips on the site alone cost Google substantially. What then, could be the rationale behind such an expensive acquisition? Essentially speaking, the increasingly popular YouTube provided a good platform for Google to generate revenues from advertising. This was how those short 15 or 30-second ad clips at the beginning of popular YouTube videos came to be. We as viewers can skip some of these in-stream ads after five seconds of playtime – which is an effective means of determining whether viewers are interested in the ads and products. As a result, this valuable feedback to ad sponsors allows Google to charge them premium rates and earn greater revenues. Today, YouTube is the biggest video sharing website across the globe and its revenue for this year is expected to hit $3.7 billion. Morgan Stanley even predicted that YouTube could hit $20 billion by the year 2020. $1.65 billion may be the third highest amount that Google ever spent on acquiring a successful start-up, but looking at the investment returns, the money is certainly well worth spending. 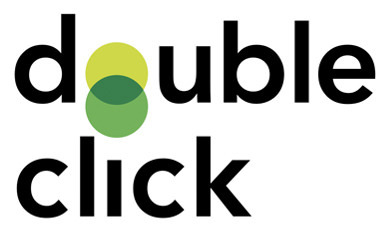 DoubleClick cost Google more than $3 billion and we are not referring to the decimal difference. Despite being the second most expensive acquisition by Google (thus far), it was one of the more controversial acquisitions the giant has made. The transaction was subjected to an 8-month investigation by US Federal Trade Commission (FTC) over accusations of antitrust practices. The final verdict found “Google’s proposed acquisition of DoubleClick unlikely to substantially lessen competition’ÃÂ. The deal was an attempt to merge DoubleClick’s flashier, interactive multimedia ads (or display advertising) with Google’s existing short text-link advertising that appear next to search results. Google wanted to target, serve and analyze online ads of all types, something of a forte with DoubleClick’s long banner-providing history. However, DoubleClick was also often linked with controversial use of spyware to track user clicks and the acquisition seeded potential implications on privacy issues. People were uncomfortable with Google’s unprecedented access to (and storage of) data pertaining to website traffic, personal information, and their surfing habits. Google had announced on June 4 that a new HTML5 creative development tool known as the Web Designer will not only enable advertisers to create more dynamic web ads and content for free, it will also be seamlessly integrated with DoubleClick Studio and AdMob. Similarly, Google will also be combining their recently acquired (July 31, 2012) Wildfire social media marketing platform with DoubleClick to provide marketers with a deeper level of engagement with their audience. Clearly, Google has big plans for DoubleClick because it has been doing wonders for its advertising department, particularly for display-advertising revenues. Similar to DoubleClick, the acquisition of AdMob was met with much opposition from FTC over allegations that the deal violates antitrust laws. Consequently, the acquisition took nearly as long as DoubleClick for its completion. Finally, on May 27, 2010, after FTC closed its investigations, the deal is sealed. Apple, who was outbid by Google, ended up purchasing AdMob’s competitor, Quattro Wireless for $275 million. Google noted that mobile advertising was a growing industry and wanted to be the one to develop it further and integrate it with their unmatched search platform. As an expert on mobile ad technologies, AdMob enabled Google to serve display ads to mobile devices, and to track and report the success and failure of mobile ad campaigns. But that’s not all. Ian Schafer, the CEO of interactive engagement marketing agency Deep Focus, postulated that Google bought AdMob mainly for the usage data of the most popular apps, especially those from Apple’s App Store. Both iPhone and Android users contributed to Google’s 5x mobile search growth in the two years before the deal in 2009 – a quarter of these users spend nearly 90 minutes/day using apps on their devices. Having access to AdMob and the data it carries gives Google the advantage because they have the data to how iPhone apps are used, the engagement rate of advertisements and user loyalty. That would definitely tip the scales. Taking into account the dual benefits of kick-starting the business of mobile display ads and having access to usage data for their competitor’s apps, the highly-acclaimed AdMob was undoubtedly a winning move for Google to get ahead in the game. Google is still developing AdMob today and even reinventing it with new tools. For $100 million, Google brought over Meebo’s expertise to spruce up their own social networking platform, Google+. A year after its acquisition, Meebo was discontinued, absorbed into the Google+ team, and lost its toolbar on June 6, 2013. Since 2005, Meebo had served as a browser-based instant messaging program that supports multiple IM services ranging from Windows Live Messenger to ICQ, to Google Talk and Facebook Chat. It then went on to also become a tool for web publishers that allows readers to share their posts via a pop-up at the bottom of each of their pages. Meebo’s team had since been focusing their resources on initiatives like the Google+ Sign-In and other Google+ plug-ins like Badges, +1 recommendations and Share buttons. In a similar vein, Google’s first attempt on May 15, 2013 to unify its many fragmented messaging clients (e.g. Google Talk, Google Voice, Google Chat, etc) through its very own Hangouts appears to be similar to what Meebo have been adopting and is especially adept at. The ink is still wet on the Google-Meebo deal, nevertheless, Google have been showing that they are making good use of Meebo’s specialized skills with messaging services for Google+ Sign-In and involving them with web publisher tools that promote user engagement. Taking Meebo under its wings does looks like a sound decision with lots of potential development, and may prove to be a huge step forward for Google to effectively compete against Facebook and other Internet giants. Breaching the $1bil dollar mark, Waze is only the fourth costliest purchase by Google by far. The Israeli mapping service start-up, known for its award-winning navigational app with over 50 million users (or ‘Wazers’) worldwide. Waze incorporates elements of social and community engagement to produce reliable traffic updates and information on top of just location data, which Google Maps does already. Their unique approach of combining social networking with location-tracking and mapping services allowed crowdsourcing of real-time road conditions. This includes information such as police speed traps, accidents and the resultant traffic jams, unforeseen (and unannounced) road closures etc. The wealth of social data and cultivated culture of strong user engagement within the Waze community has been a boost to Google’s world-mapping quest. This crucial social aspect may to be the gap which Google is seeking to fill through this acquisition. It’s too early to tell how Google will take Waze further than where they are now. However the Google-Waze deal will be under the close scrutiny of watchdogs such as the US FTC to make sure that there are no breach of antitrust laws, for fear that this acquisition might unfairly favour Google in achieving ultimate dominance in the online mapping business. I think they’re on to something.